Summer is such a wonderful time of the year. Besides the warm weather (which I love and thrive in) we also get an abundance of fresh fruit and vegetables. Trying to save some of the wonderfully fresh produce, for our cold winter months. is something I learned as a child. All summer long, my mother and grandmother would spend days canning peaches and tomatoes. My mom also put up tons of jam! She would start in the spring by making black raspberry jam, with all the berries she didn’t use in her black raspberry pies. They grew wild around our property and, we would pick colanders full! When my children were young, every June I would pack them up and make the trip from Long Island to New Jersey, so that we could help my mom pick. My kids loved picking with my mom. They knew that pie would soon follow! Bees love berries, and an occasional sting was the price we paid for picking. But, generally it was just fun! My mom made the best pie! However, making jam was her thing. It seems I’ve inherited that gene! To this day, my favorite jam is black raspberry! I recently made a trip to Corrado’s market in Paterson, and came home with two big, beautiful trays of figs! And then the jam making began!! I spent three entire days prepping figs and grapes from my yard and then processing them into beautiful jam. Three batches of fig and one grape. Two of those batches were my favorite fig jam (flavored with Grand Marnier) this jam is to die for!! I did one batch of Fig Balsamic, too! Figs are a part of my mediterranean heritage and, are something I grew up with. My grandfather would always bring them home when I was a child. Initially, I wasn’t very fond of them. Unless of course, they were Fig Newtons!! Figs have a grown up acquired taste, that takes some time getting used to. When I did, I grew to enjoy their unique texture and flavor. Eating them straight out of the bag or, sliced with cheese and a glass of wine are my favorite ways to enjoy them. This jam was scrumptious! I made some crostini with goat cheese and a drizzle of fig jam…yum!! I still need to make one more batch before fig season is over! Makes 6 half-pint jars. PickYourOwn.org. Prepare canner and wash/sterilize 6 half-pint mason jars. Keep jars in hot (not boiling) water until ready to use. In a large, heavy saucepan, combine figs, lemon juice, and water. Sprinkle in pectin and stir until combined. Bring to a boil over medium-high heat. When the mixture has reached a full roiling boil, add the sugar all at once (it helps to have it pre-measured into a bowl). Return mixture to a hard boil that cannot be stirred down, and boil for 1 full minute. Remove from heat and skim off foam. Ladle hot jam into jars and top with lids and rings. Process in a boiling water bath for 10 minutes. Remove from water and let cool completely, 12-24 hours. Check seals. Any unsealed jars should be refrigerated and used immediately. - Honey Fig Jam: Add 2-4 tablespoons of honey to the mixture with the sugar. If you are using a mild/light honey, add more as needed. A darker honey has a stronger flavor and will need much less. Taste as you go and don't make the same mistake I did. 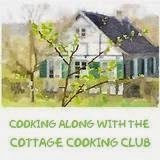 - Balsamic Fig Jam: Add 1/4 cup balsamic vinegar to fig mixture prior to cooking. - Grand Marnier Spiked Fig Jam: Replace all or part of water with fresh orange juice. Stir in 2 tablespoons Grand Marnier liquor to fig jam after removing from heat. Kathy the Fig jam with Grand Marnier sounds delicious! I have had a fun summer learning to can! It is so rewarding looking at all those jars filled with goodies for later :) If I can get my hands on some figs I am going to make this! Oh, that is beautiful...I would love to look into the pantry and see a jar of that sitting there, you must just smile when you go to yours and find it looking at you. I have never canned, I keep saying I am going to learn and each summer passes without me doing so. Sigh. Wow, Kathy! I am totally impressed - these jams sound delicious! I'd love to try the Goat Cheese Crostini, too. I love your family traditions. I grew up far from my family as we moved around the world. Yum. Figs and Grand Marnier! I´m mad for figs and liqueurs, so this jam can pretty much become a favorite. How much G.Marnier did you use per recipe? I´m loving this recipe! I used 2 tablespoons and the taste of the liqueur was noticeable, but not overwhelming! This is fabulous!!! I just happen to have a bottle of GM in my house - my favorite liqueur! A must try! I bright some bread over! The fig jam sounds and looks droolworthy! What a coincidence Kathy! I made some fig jam myself this week! Yours look so lip licking as well! Gorgeous! I'm always tempted by the fresh figs, but am never quite sure what to do with them - this looks like the perfect use! I don't know if I have it in me to make jam, but if I did...this would be the one! I pinned the photo "beautiful ruby jam" to my board titled yum. I've been packing manchego cheese slices, baguette slices and a little bit of fig jam for my daughters lunch...I'm sure yours is much better! What wonderful memories of picking berries with your mom and children. Fabulous, just fabulous! Those figs look delicious, I bet they made a wonderful jam. This sounds like an excellent jam - I've used honey, calvados or armagnac with figs before, but never an orange flavour. That's got to be good. I like the sound of the balsamic, too. and turned into huge homes. I love figs and this is a BIG WOW!!!!!! I wish I lived in a place where fresh figs were common, but it's very unusual for me to see them. One of the best desserts I had in my life was a dish of poached figs in Italy. It was breathtaking, and completely changed the way I felt about figs! Your jam is amazing. I've never eaten homemade fig jam before. I bet it's delicious. One of my favorite restaurants makes a sandwich on their lunch menu with fig jam and goat cheese and they are a fabulous combination together. And in my book, Grand Marnier makes everything better! Oh Kathy! I am addicted to fig jam! I am not kidding...last year I ate about a jar a week and then my husband "intervened" and since then I am fig-jam-free....But seeing this recipe I cannot resist! I'm gonna go to the market and by me some figs and "jam them". Thank you for the recipe and the tips!!! !